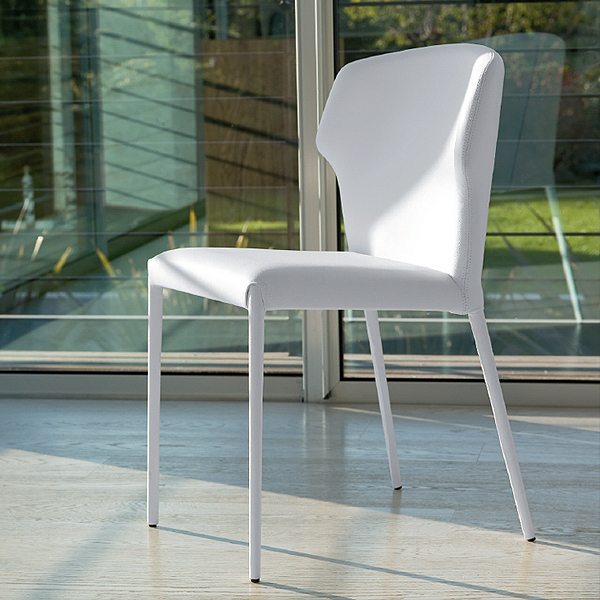 A refined dining chair with an abundance of elegance and style. Seat available in a variety of upholstered leather, hide leather and synthetic leather finishes (see sample links below). Leather covered or chromed steel legs.